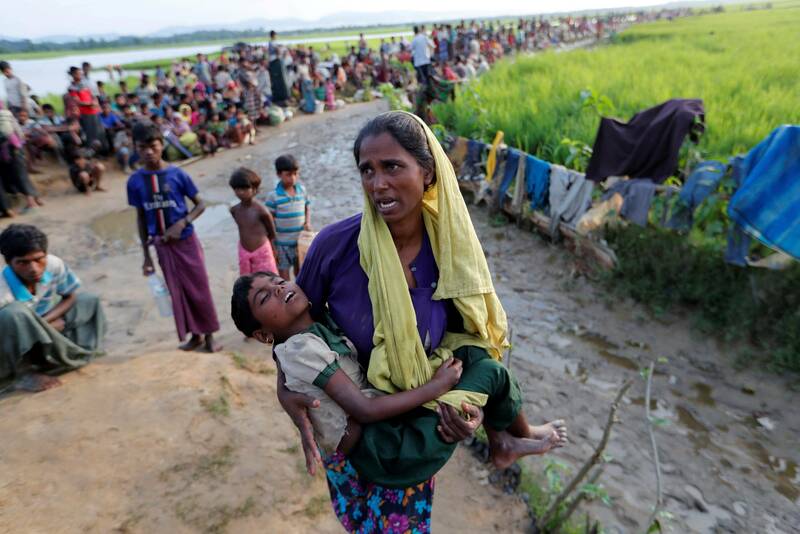 More than 340,000 Rohingya children fleeing violence in Myanmar are seeing “hell on Earth” in overcrowded, muddy and disease-infested refugee camps in neighbouring Bangladesh, according to UNICEF. Many of the children are alone, starving, in need of medical attention and at risk of being captured and thrown into human trafficking, the aid organization said. Humanitarian organizations, like UNICEF and Amnesty International, are warning the international community if enough aid is not provided in the next six months, many of the most vulnerable — women, children and the elderly — will die. Since late August, more than half a million Rohingya refugees have fled into Bangladesh following an outbreak of violence in Rakhine state in Myanmar causing a humanitarian crisis in the region with continued challenges for aid agencies. But the international community, including Canada, is not doing enough to help in what the United Nations is calling, the “most urgent refugee emergency in the world,” aid groups say.